The 2016 The Barclays FedEx Cup playoff PGA golf tournament is taking place this week from August 25-28, 2016, on the Bethpage Black Course at the public Bethpage State Park located in Farmingdale, New York on Long Island. Here is a list of the prize money up for grabs for the PGA golfers to win at the 2016 The Barclays. The Barclays is the first of the four FedEx Cup PGA golf playoff tournaments that will determine the winner of the 2016 FedEx Cup and the rich $10 million bonus prize money. The Barclays has been played on the PGA Tour since 1967 and been the first playoff tournament in the FedEx Cup since its inception in 2007. Only the top 125 players in the FedEx Cup standings can play in the 2016 The Barclays this week. The Barclays has a 36-hole cut to the top 70 players plus ties. Only the top 100 players based upon FedEx Cup points will move on next week to play in the second playoff tournament at the Duetsche Bank Championship. 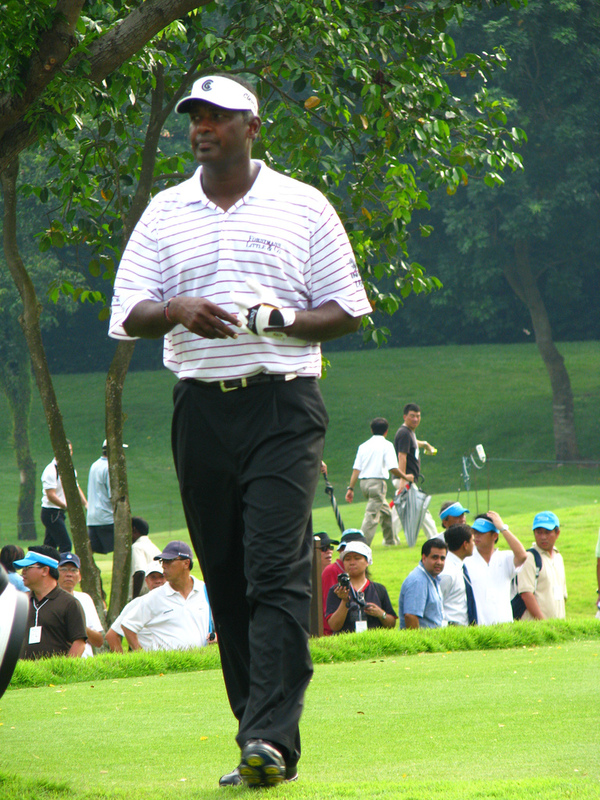 Since the FedEx Cup Playoffs were started in 2007, Vijay Singh (pictured above) is the only player to win The Barclays and go on to win the FedEx Cup and the rich $10 million bonus. Vijay won both The Barclays and the FedEx Cup in 2008. Total prize money up for grabs at the 2016 The Barclays is $8.5 million. That is up 3% over the $8.25 million that was up for grabs in this playoff tournament last year. The winner of the 2016 The Barclays will earn a very cool $1.53 million. That is up 3% over the $1.485 million that Jason Day earned last year when he won The Barclays. Second place is worth $918,000 at The Barclays in 2016. That is up 3% over the $891,000 that Henrik Stenson earned when he finished alone in this tournament last year. Third place at The Barclays is worth $578,000 in 2016. That is up 3% over the $561,000 that Bubba Watson earned when he finished alone in 3rd place at this tournament last year. Fourth place is worth $408,000 at The Barclays in 2016. Zach Johnson and Zac Blair split $726,000 with each player earning $363,000 when they both tied for 4th place here last year.